Imagine how happy I was to find that the hotel I was crashing in this week in Chicago had a great Tapas place… and it turned out to be from Philly’s own Iron Chef Jose Garces! If you haven’t been to Jose’s wonderful Distrito on Chestnut St in University City, you are missing out on a real treat. 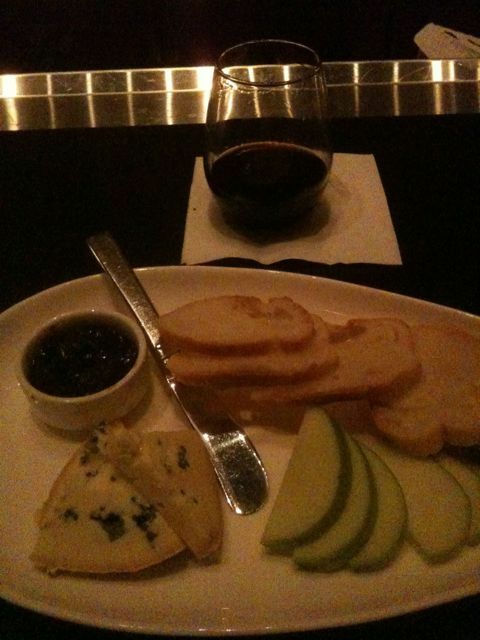 Last time I was there I had great cheesey, spicy tapas plates with local fave Dock Street Rye IPA. The match was perfect, and food great. Unfortunately, Mercat a la Planxa on South Michigan St did not have any local Chicago beers – or really anything noteworthy in the beer department for that matter. The food on the other hand was indeed noteworthy. The Coca (flatbread) – with shortribs, horseradish, Parmesan and bacon, was an explosion of savoriness. I longed for a robust Belgian double, or maybe a Dogfish Indian Brown… Palo Santo anyone? The friendly and knowledgeable bartender told me that they did have some interesting beers once but “they didn’t sell”. What that’s about Chicago beer appreciators? So, considering the local paucity of interesting beer, time to be flexible. For dessert I had a really nice blue cheese plate (La Peral) paired with an unusual and firey Spanish red grappa (Orujo). It was a wonderful match. What do we learn from this? Well, if the food’s great and the beer selection predestrian – be flexible. No point in drinking boring beer.